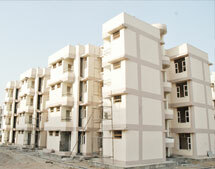 It is a delight for us to state that the projects completed by us have won accolades from all quarters. As you aspire to grow your business, we aspire to provide you spectacular spaces to set up your business operations and enjoy the countless benefits and cutting edge technology. Backed by advance technology and specialized features, we develop work areas that look impressive, feel comfortable and prove advantageous! Observing the growing needs of a one stop destination for shopping, leisure and entertainment, V3S ventured into developing world class shopping and entertainment spaces. 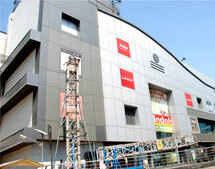 V3S Mall, east Delhi is a success story in itself with numerous high street brands and leisure destinations under one roof! V3S is actively working towards building superlative spaces in hospitality segment with ESIC multi specialty hospital as a strongly established entity that has set high benchmarks for the real estate industry. 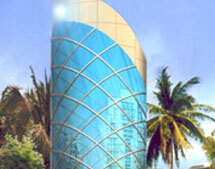 V3S is involved in building hotels with all the modern facilities. In order to make your stay a memorable one we have tried to provide all kinds of facilities under one roof. With the changing trends in business and information technology, IT Parks are the ultimate destination for technically driven companies and V3S is all set to launch some ultra-modern and brilliant options for such businesses to establish their base in an outstanding and vivacious environment backed by high-tech amenities and numerous specialties.